So this pedal gives you a big fat rock / heavy rock distortion sound AND the ability to boost it for solos. Rhythm and lead all in one box. Packed with brutal, high-gain tone and sound-shaping options galore! 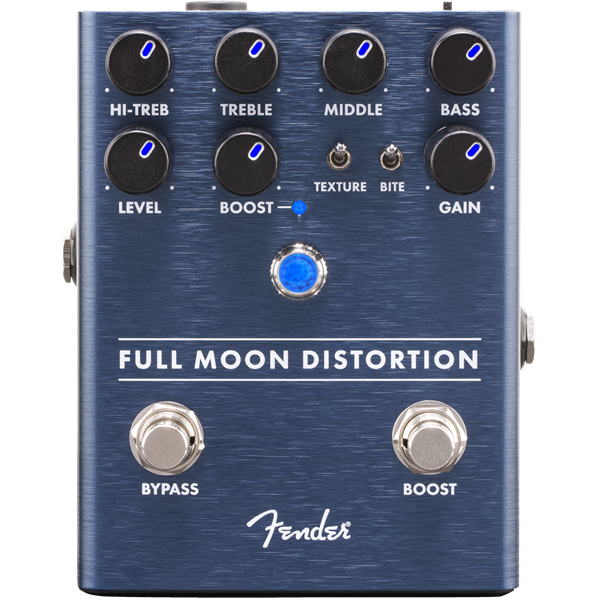 The Full Moon Distortion pedal has everything you need to unleash sonic mayhem. Both symmetrical and asymmetrical clipping modes are lurking under the Texture switch. The Bite switch shifts the upper-midrange and harmonics to bring out your pick attack, letting you cut and chug through the mix with ease. The 3-Band EQ lets you dial in your sound to taste, while the flexible Hi-Treble control shapes your high end. The second footswitch kicks in up to 12dB of snarling post-gain Boost.